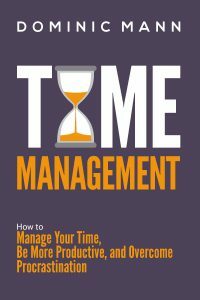 By the time you’ve finished reading this book, you’ll be charging through your to-do list like a sumo wrestler on crack. Well, here’s the thing: Time management is like warfare. The right strategies ensure effortless victory. And guess what? Inside this book, you too will learn to conquer your goals with ease. You’ll discover powerful strategies and explosive (usually not literally, but be careful!) techniques that will enable you to get more out of your day. Learn from the best. Rockefeller. Elon Musk. Napoleon. Why the world’s most productive people—from Elon Musk and Steve Jobs to presidents of the United States—don’t use to-do lists (and what they DO use). How John D. Rockefeller used a little red notebook to become insanely efficient. The lethally effective strategy Napoleon used to swiftly conquer Europe (and how YOU can use it to swiftly conquer your to-do list). Maximize your day. Multiply your results. The surprising McDonald’s secret that will catapult your productivity into the stratosphere. How one of history’s most successful writers managed to write 65 full-length novels, despite having a full-time job. The journaling habit used by world-class athletes to achieve greater results in less time (and how YOU can use it to multiply your own results). Why pretending you’re on an airplane can quadruple your productivity. Wring every last drop of value out of your workday and rapidly conquer your biggest goals.